The Autism Show is the national event for autism, organised in association with the National Autistic Society. It is the largest event in the country dedicated to the autism community. We offer over 100 hours of talks, clinics and workshops, plus hundreds of specialist products and services. A visit to The Autism Show can make an immediate difference to you and those you care, support or teach. It was created by parents of an autistic child. Based on their own experiences after diagnosis, they felt that there was a strong need to bring the autism community together to access specialist information, advice, products and services. The Autism Show takes place in the three most populous cities in the UK to make the event as accessible to as many people as possible. The venues are ExCeL London, the NEC Birmingham and EventCity Manchester. 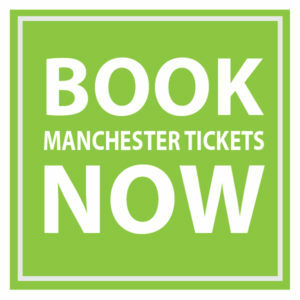 In 2019, The Autism Show runs in Manchester on Fri 28th June and Sat 29th June, in Birmingham on Fri 21st and Sat 22nd June and in London on Fri 14th and Sat 15th June. What are the open times? All shows are open from 10am to 5pm on the Friday and 10am to 4.00pm on the Saturday. How many years has it been running for? This is the eighth year we have organised The Autism Show in Manchester. The event is in it’s tenth year in London and it’s sixth year in Birmingham. The venues have been chosen for their ease of access. EventCity is located opposite the Trafford Centre just 15 minutes from Manchester city centre. The Autism Show takes place in hall 1 which is the first hall on your left when you enter the venue from the car park. It is conveniently located close to junctions 9 and 10 on the M60, making it very accessible to car users. There are over 3,000 free car-parking spaces on-site. The NEC is in the perfect location for car travel – 8 miles east of Birmingham city centre, and at the heart of the UK motorway network. With 16,500 spaces available we’ve got plenty of room for you. Follow the electronic signage or directions provided by the traffic team to get you to the North car park which is being used for the show. Once you’ve parked you can either take a free shuttle bus which will drop you off at Atrium 2 or walk to the halls using our sign posted footpaths. Enter through Atrium 2 Main Entrance and The Autism Show is in Hall 8 directly in front of you. Disabled parking can be found inside Hall 16 immediately outside Atrium 2, which is accessible via Gate G3. ExCeL London is located 10 minutes from Canary Wharf in the East of London. The venue is served by a DLR station and is best approached by taking the London Underground’s Jubilee Line from central London to Canning Town, changing onto the DLR and alighting at Prince Regent station. Alternatively ExCeL London is easily accessed by road from M25, M11, A406 and A13. The Autism Show is signed Entrance N9 from inside the venue. The event is for anyone who lives and works with autism on a daily basis or may wish to know more about the condition. Our main visitors are parents, carers, teaching professionals, healthcare professionals, local authority professionals, and individuals on the autism spectrum. Over 3,000 people visit the event in Manchester and Birmingham, and over 4,500 visit in London. Suppliers exhibiting products and services; practical workshops; in depth discussions and presentations; autistic adults speaking about their experiences; renowned academics discussing their research; public figures discussing their experiences of being a parent of a child with autism; one to one clinics hosted by specialist professionals; and a host of interactive and thought-provoking special features. Is it suitable for me to bring an autistic child or adult? That’s a diffcult question for us to answer. You know that person’s needs most. If they have acute sensory issues we would not recommend the exhibition to visit as it can get very busy and noisy, like any other popular public place. However we do have families attending with autistic children and adults on the spectrum visiting and also speaking at the event. We try to make the event as accessible as possible to those on the spectrum by having wider than usual aisles, clear signage, dimmed lighting and a quiet room available. Is a Quiet Room available? Yes, we have a Quiet Room, please visit the onsite Organiser’s Office if you need to use it. Non-professional tickets cost £16 in advance or £20 on the door. Concessionary tickets are available to those in receipt of DLA or PIP, students or unemployed. These tickets cost £15 in advance or £19 on the door. Children under 16 enter free of charge when accompanied by an adult. Professional tickets cost £20 in advance or £25 on the door. A £1.50 booking fee is payable on all advance orders. What is the National Autistic Society's involvement in the show? The National Autistic Society do not own The Autism Show but are the principle partners of the event. This means that they work with the organisers to produce an event which meets the needs of as many people in the autism community as possible. The organisers are called Park View Events (North). Can I talk to the organisers? Yes, you can contact them on 020 8882 0629.